Anyone who has spent considerable time on the south end of Boulder knows this can be one of windiest locations in all of Colorado. Winds drop down from the high peaks above, gain speed and shoot out of the canyons and down the hillsides west of town. It can be an amazing experience to be outside when the winds are reaching 80 M.P.H. in an open and exposed area. This was one of those mornings at Doudy Draw. The winds were really picking up at sunrise but I could tell the sunrise was going to be amazing. There would be short periodic lulls in between the tremendous gusts of wind at Doudy Draw so I was able to find a sheltered area for my camera and tripod. 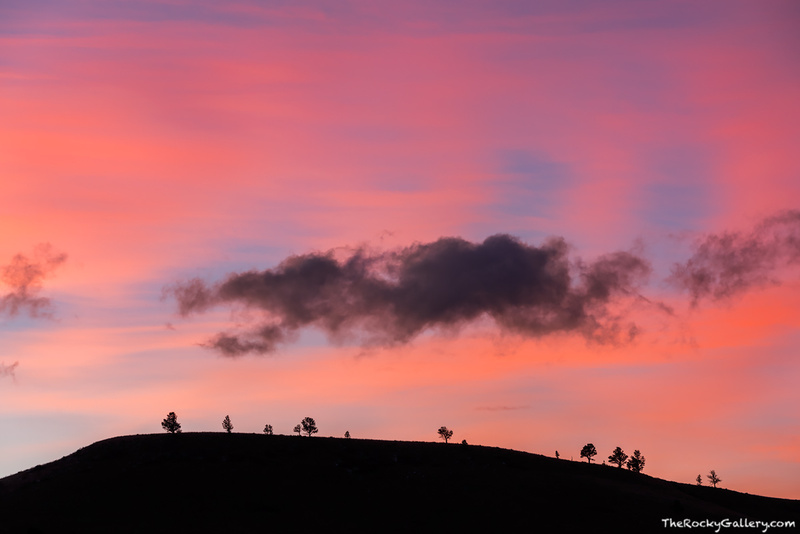 In between the violent bursts of wind I was able to capture the colorful skies lighting up over Doudy Draw as both high and mid level clouds turned pink and quickly scooted out of the frame. Photo © copyright by Thomas Mangan.